Can you guys believe its September already? Summer is almost over! Time flies for sure. I definitely did not do a lot of sewing this summer. With moving cross country, starting a new job and readjusting to living in the Northeast, my sewing took a back seat this year. However, I couldn’t let these months go by without messing around with a new pattern. I am calling this bag the Vera Tote Bag Pattern after my new neighbor who has been of tremendous help for my daughter and I during our move. I can’t imagine living next door to anyone else. 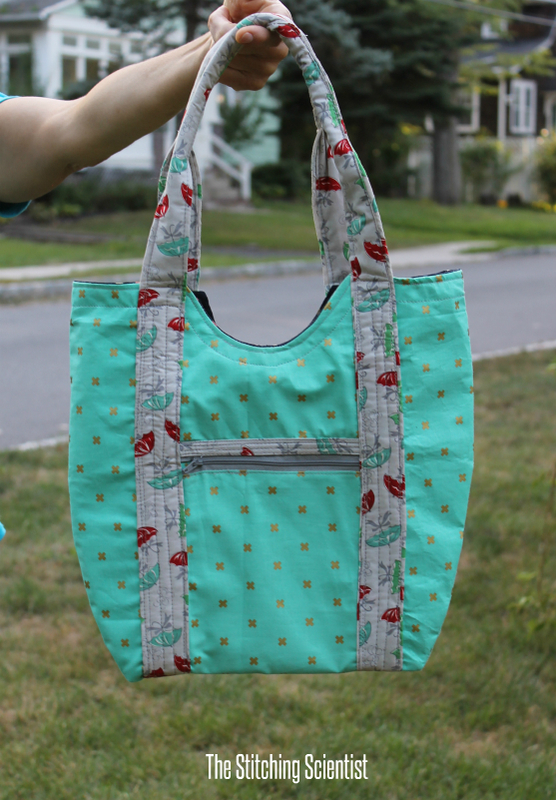 This pattern is super easy to follow and complete with a step by step tutorial and pictures. You can have fun mixing and matching your two favorite coordinated fabrics to create this beautiful piece. 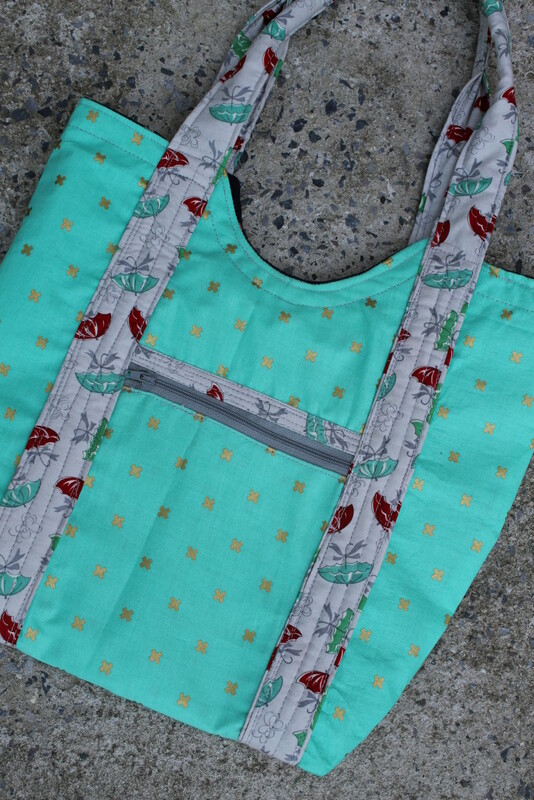 What better way to spend an evening than sewing something for yourself that you actually use?! The main fabric used here is from Cotton and Steel. The straps is from the line April Showers from Bonnie and Camille. I really love the pairing of the green with the gray/red/green accented straps. The patterns on the fabrics work well together. 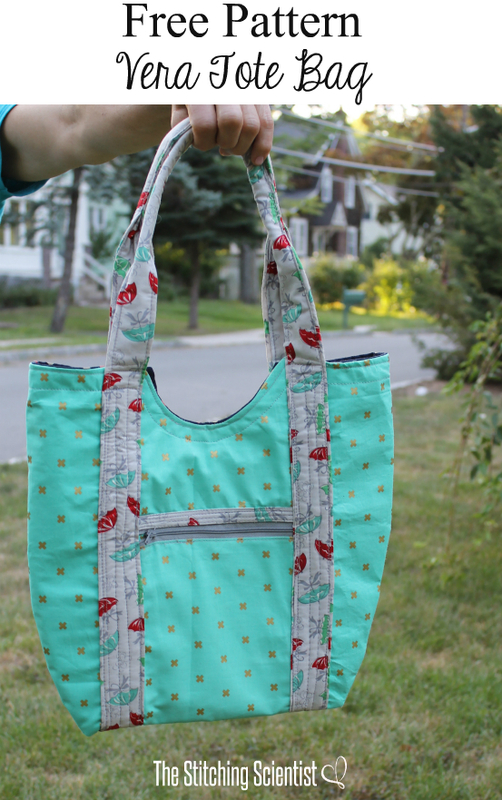 The Vera Tote Bag Pattern measures about 15″ high x 12″ wide. It has a zippered front pocket to hold your phone and keys. There is no closure, making it easy to grab and go. The straps are long enough to hang over your shoulders or hold with hands. The straps are also rounded for a more comfortable feel. Download the complete tutorial with pictures and the printable pattern>>>HERE. Enjoy and please post pictures when you make the bag.